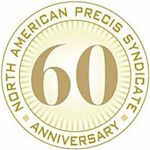 North American Precis Syndicate, which since January 1958 has distributed ready-to-use copy to newspapers, is preparing a major celebration of its anniversary next year. The history of NAPS, headed by Dorothy York, will show how its services have evolved to take advantage of technical developments and cope with the changing media landscape. The most popular format now, says York, is the CD version, which editors can either use or store until they need a story to fill a special section. Digital formats are commonly used including downloadable files on the www.napsnet.com site, RSS feeds by subject, e-mails, direct computer feeds, Twitter feeds, and Facebook and Pinterest posts. “We have always been a more cost-effective means of reaching the media because we are able to spread the cost over a large number of clients,” says York. “Most” companies in the “Fortune 500” use NAPS, she adds, not just because of its reach to the 1,330 dailies, but also because of its audience of 7,184 weekly community papers, 1,473 shoppers and 2,028 special dailies and school papers. Daily/Sunday papers have a combined circulation of 38 million while weekly community papers are taken by 65 million. Many dailies have also become “hyper-local weeklies in the wealthy suburbs of major markets, the primary group of publications that we serve,” says York. The suburban audience, York says, includes wealthy influencers such as civic and political leaders, business owners, executives, lawyers, doctors and affluent consumers. Companies show how they serve the public interest by contributing to health, education, the needs of young people and the arts, says York. 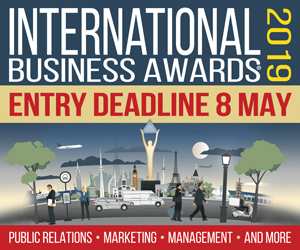 They build brand recognition and loyalty with stories of corporate social responsibility. A campaign can avert attacks or make them less damaging. Disseminating corporate speeches can create additional coverage in major as well as suburban newspapers, she notes. Goodwill can be obtained by showing the scientific and technological advances of the company. “News of your progress on Main Street increases respect for your management and helps you win on Wall Street,” says York. Another goal of communications is building the corporate brand and identity—showing what business it is in and how it's positioned for growth. Let the media use your charts and statistics, advises York. This helps to create a more informed market assessment and enhances corporate image. Winning in Washington is an important goal for companies, she adds. PR can help lobbyists by appealing to people at a grass roots level and mobilizing citizens who can send letters to legislators. NAPS offers copy and layout suggestions at no cost or obligation. “Our team is well trained to give excellent advice on how to get the most coverage in community news outlets nationwide,” says York. Free proposals are available from info@napsnet.com or by calling 1-800-222-5551.